Today is Chuseok in Korea, which can be most closely related to Thanksgiving in the U.S.
People get together with their families in their hometowns to celebrate together. 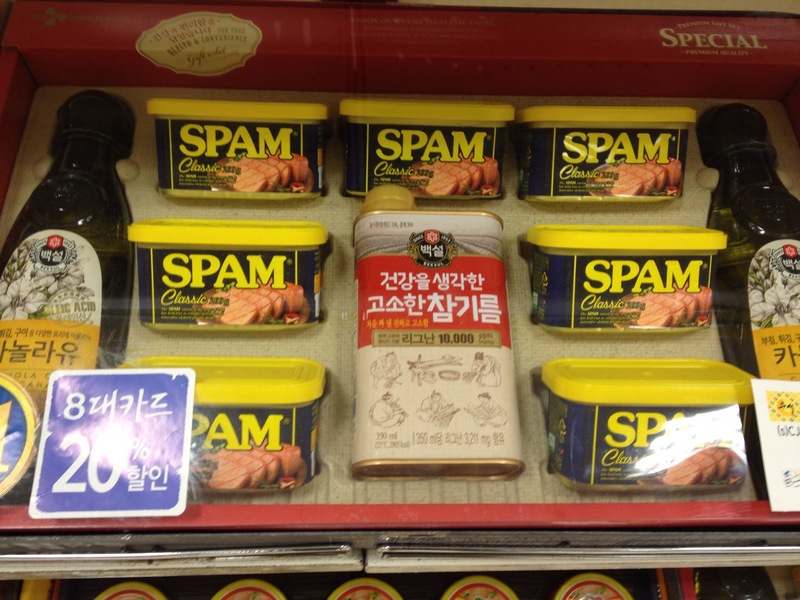 Sometimes gift sets are given, such as this Spam one (Spam is hugely popular in Korea and serves as a prominent ingredient in some dishes). Last night we had the opportunity to go to a Catholic service, which was a nice, small community. 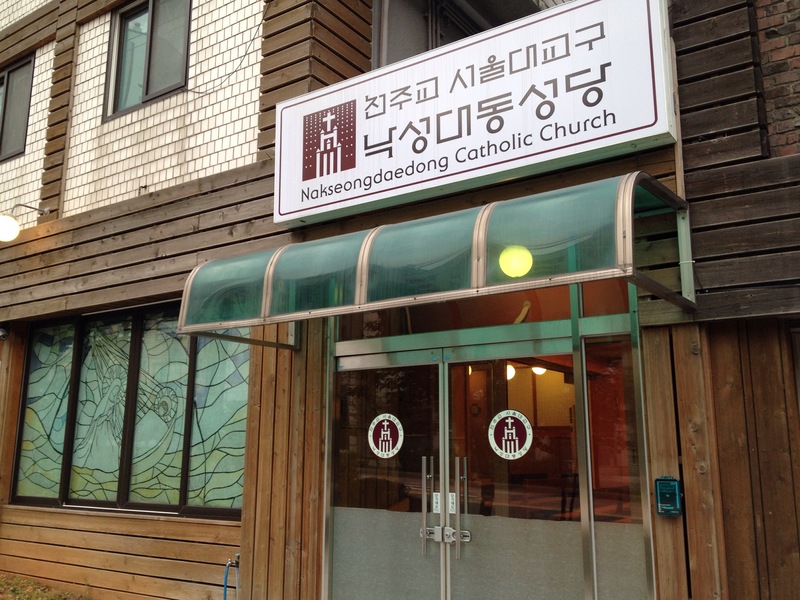 Given that Catholic Mass is celebrated in the same structure across the world, when I was invited to participate in the readings, I was able to jump right in.